Nitish Kumar spoke to his Manipuri counterpart and requested him to ensure the safety and security of students hailing from Bihar. 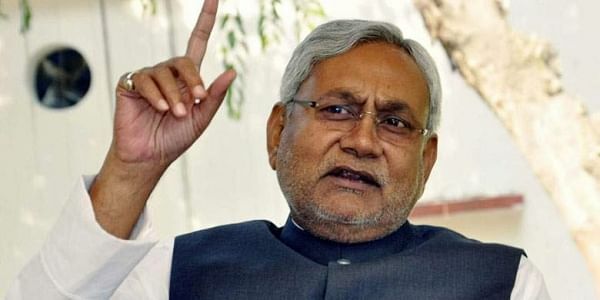 PATNA: Taking serious note of an attack on students at the NIT-Imphal campus, Bihar Chief Minister Nitish Kumar on Tuesday spoke to his Manipuri counterpart N. Biren Singh and requested him to ensure the safety and security of students hailing from his state. He also urged Singh to take action against the accused, who had attacked and beaten up the students on Monday at the National Institute of Technology (NIT) in Imphal. Nitish Kumar requested a high level probe into the incident, an official in the Chief Minister's office here said. Bihar Police chief P.K. Thakur also spoke to Manipur Director General of Police L.M. Khote and requested him to initiate action. A group of students were injured on Monday when locals barged into the NIT campus and beat them up. Some injured Bihari students had then sought the help of the state government.